About a year ago, the exploitation of the Belgian airports of Antwerp and Ostend was taken over by the French group Egis. On the passenger side, in both airports the first results are astonishing. CEO Marcel Buelens is convinced that Ostend’s cargo volumes will follow suit. 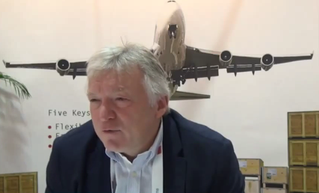 CEO Marcel Buelens expects cargo biz to pick up soon again - pictures company courtesy. “You mustn’t forget that as a cargo airport Ostend Airport has been idle for over11 years,” says Marcel. The latest blow came in May 2014, when ANA Aviation moved to Liege Airport. “Rather than being creative our dear friends from Liege Airport prefer stealing from their colleagues. At this very moment they are trying to convince Egypt Air to make the transfer. We, on our part, try to be creative by attracting business,” the manager soberly states. In this respect the recent move of Ethiopian Airlines Cargo is a deplorable matter, says Marcel, reminding of the days when ET was originally a client of Ostend Airport. 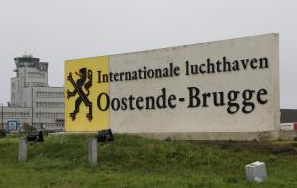 “At a certain time the operator of Brussels Airport, BIAC as it was called then, had been granted a concession by the Flemish government to run Ostend as well. After 6 months BIAC pulled out again, taking everything worth taking with them. So ET went to Brussels Airport. They then went to Liege, then back to Brussels and now to Maastricht. Quite a journey! A new maritime link to the UK might help the airport achieving its cargo aims – if realized.